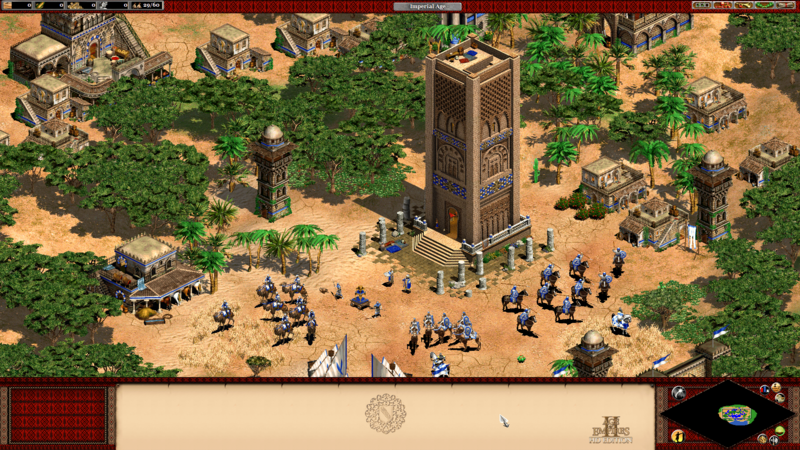 Unite the tribes of Northern Africa and prepare your naval vessels to escape the scorching heat of the Maghreb. Set sail to war-torn Iberia to conquer new riches. Can you hold your ground against the scrambled kingdoms of Iberia who are slowly uniting against you? Archaeological evidence indicates the emergence of distinctively Berber tribes in North Africa around 2000 BC, while historical sources and inscriptions first mention them around the 8th century BC. Early Berbers were mostly pastoral nomads, though a minority practiced sedentary agriculture. These tribes had close contact with Carthage and the Greek colonies in North Africa. The word “Berber” itself derives from a Greek term used in this case to describe the local inhabitants of North Africa west of Egypt. In the 3rd and 2nd centuries BC, several Libyo-Berber groups formed the classical kingdoms of Numidia and Mauritania. These soon fell to the Romans, who left their own impressive legacy on North Africa. However, in the early 5th century AD, the Vandals invaded Roman North Africa and, allying with the Berbers, conquered it. The Byzantines launched several campaigns into North Africa in the 6th century, establishing tenuous control over the region. However, their persecution of the Arian and Donatist Christian sects throughout the next century drove a wedge between the Berbers and their Byzantine rulers, allowing the Muslim Arabs a relatively easy conquest of North Africa in the mid 7th century. The Arabs consolidated their conquests in North Africa by founding new cities (most notably Qayrawan in Tunisia), gradually spreading Islam, and allying with local Berber tribes. In 711, an army composed of Berbers and Arabs under Tariq ibn Ziyad and Musa ibn Nusayr crossed into Iberia, defeated the Visigoth king Roderic at the Battle of Guadalete, and quickly subdued the region. Medieval Berber armies were famed for their use of lightly armored but lightning-quick cavalry and camelry forces, particularly Genitours, cavalry wielding a spear overhead whose mobility and versatility made them lethal against a variety of troop types. The Berber horse is notorious for terrifying other horses with its aggressive personality, lending Berber horsemen a key advantage in combat. Despite some brief interruptions, the medieval Muslim Berber empires of North Africa and Iberia flourished as centers of culture and trade for centuries. Their architectural legacy is particularly rich, as they erected such impressive structures as the Alhambra in Granada, La Mezquita in Cordoba, the Koutoubia Mosque in Marrakesh, and the Hassan Tower in Rabat. The Berbers profited greatly from the commodities, especially gold, obtained through the lucrative Trans-Saharan trade routes, and were key players in the medieval Mediterranean economy. The maritime strength of the Berbers was impressive, and their fleets would remain as powerful commercial and military entities for centuries. In 909, a new power rose to dominate North Africa: the Fatimid Caliphate (909-1171). The Fatimid leader, Ubayd Allah, claimed to be the Imam, the Caliph, and the Mahdi (a messianic figure in Islam), beginning a precedent that would be followed by several subsequent political figures. However, overextension as the Fatimids pushed eastward cost them their possessions in the Maghrib, and a collapse in central authority in Muslim Spain led to its fragmentation into several Taifas, or city-states. Significant Arabization of the Maghrib was achieved through the Hilalian invasion of the 11th century, which greatly affected the agriculture and commerce of the region as well. The Almoravids (1040-1147), representing an elevated level of military, political, economic, and religious organization, rose to dominate the Maghrib and invaded Iberia, conquering the Taifas and halting the military advance of the Christian Spanish kingdoms. The Almohads (1121-1269) succeeded the Almoravids and decisively crushed the Castilians at the Battle of Alarcos in 1195, greatly expanding their political influence. Under the Almoravids and Almohads, the western medieval Muslim world reached its political and cultural zenith. The Spanish Christian kingdoms gradually conquered Muslim Iberia, a process that culminated with the fall of the Nasrid Emirate of Granada to a unified Castile-Aragon in 1492, and the Ottoman Turks conquered much of the Maghrib in the 16th century, leaving the Sa’adian (1549-1654) dynasty in the west as the predecessors of the modern Moroccan state.